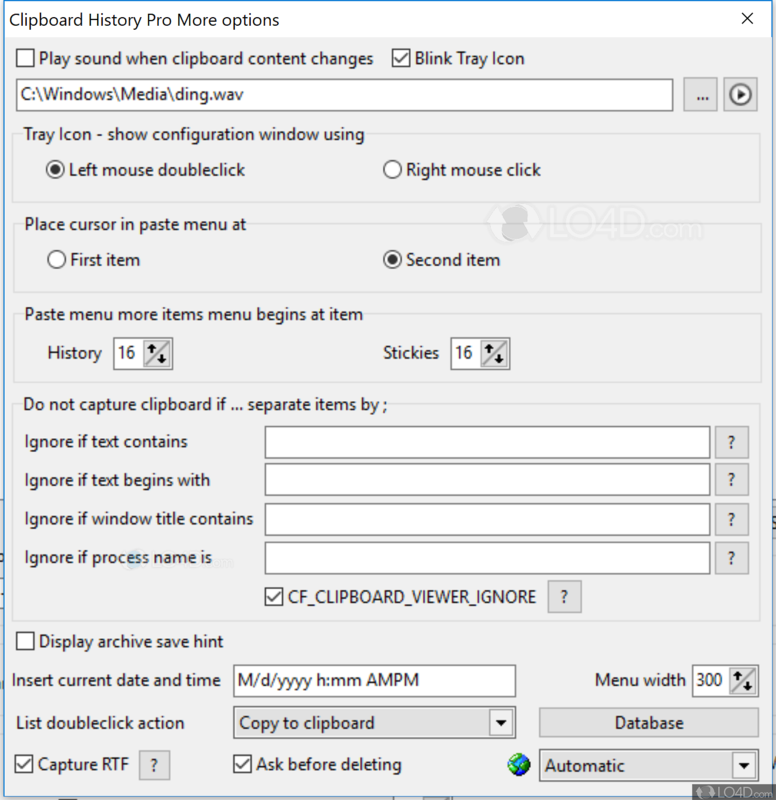 Clipboard History is a freeware Windows clipboard utility with the main function of organizing and indeed replacing the default clipboard application in Windows. Clipboard History supports up to 20 history items in your clipboard. The program is accessible via the Windows tray and is universally compatible with all Windows versions. Clipboard History can also retain history, formatting, fixes whitespace issues, and can save your clipboard history between reboots. Clipboard History is software which can view clipboard history. 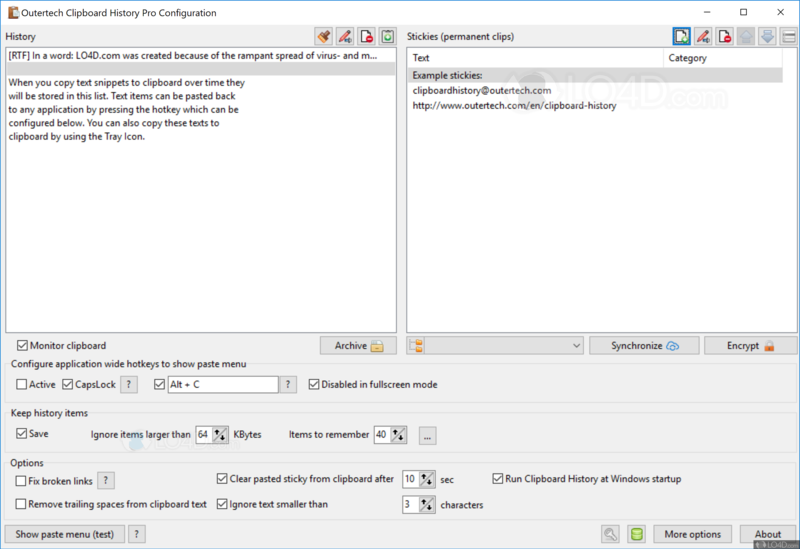 Clipboard History is licensed as freeware for the Windows (32-bit and 64-bit) operating system / platform from clipboard managers without restrictions. Clipboard History 3.47.0 is available to all software users as a free download (Freeware). Compatibility with this save clipboard history software may vary, but will generally run fine under Microsoft Windows 10, 8, 8.1, 7, Vista and XP on either a 32-bit or 64-bit setup. 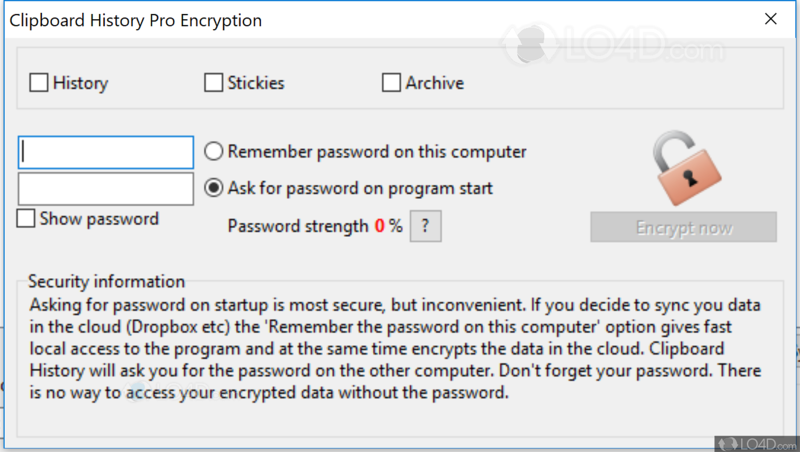 A separate x64 version of Clipboard History may be available from Outertech. This download was signed by Outertech and distributed as clhip347.exe. We have tested Clipboard History 3.47.0 against malware with several different programs. We certify that this program is clean of viruses, malware and trojans. 4.4 out of 5 based on 69 ratings.